A couple years back, a woman in Detroit thought it would be a great idea to snap up a house for $23,000, but after a series of unexpected twists, that homeowner and her 1-year-old daughter are now sharing that house with a squatter who refuses to leave because she says she has a lien against the house. 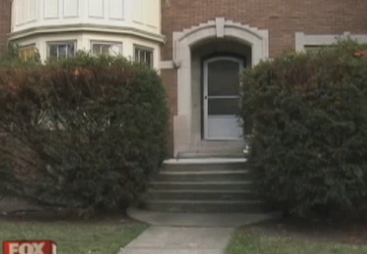 It’s all a little difficult to parse, but from what we can gather from this Fox 2 Detroit report, after buying the home, the owner leased it out to some tenants, including the woman who is now squatting. But then in 2011, it appears that the owner had to evict the tenants because the house was not fit for habitation without some repairs. But at some point in the last few months, that squatter returned and claims that she spent her own money changing the locks, the curtains, and making other fixes to the property. According to the homeowner, the squatter claims to have placed a lien on the property and appears to be the latest squatter to completely misunderstand the rules of adverse possession — an antiquated law that allowed for people to take possession of abandoned properties if they maintained them and paid property taxes. “She thinks that this is a program in Detroit to take people’s homes and fix them up and then she gets to keep them,” said the homeowner. But the house wasn’t abandoned. The owner just wasn’t living there for a year, meaning that the squatter appears to have simply made changes to someone else’s property. The law does protect the squatter in this case, in that the homeowner’s only real option is to pursue a civil matter against her unwanted housemate. So she and her young daughter are now living under the same roof as the squatter.